Jacob has yet to meet a gadget he couldn’t fix or an adventure he could resist. With trade routes to his remote Lowlands town cut off, Jacob must exchange his boyhood adventures for petty theft. After all, his wages at the tinker shop aren’t enough to pay for his father’s medicine. 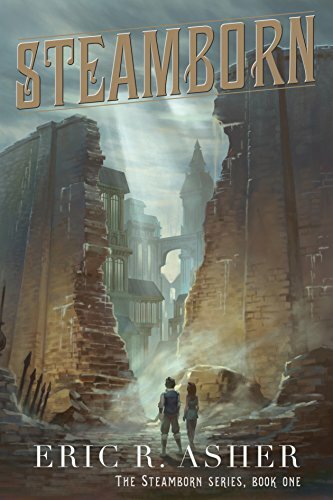 Steamborn is an inventive YA fantasy novel with a heavy dash of steampunk. If you like dystopian settings, killer insects, and resourceful characters, then you’ll love Eric Asher’s gear-turning tale. Buy Steamborn to crank up a whimsical thrill-ride today!